There is no shortage of choice when it comes to selecting a wine club. However, with so many options available, the average consumer can have a difficult time finding a wine club that is a good value and also delivers high quality wines. Fortunately, Plonk Wine Club is here to cut through the clutter and bring you great wines that have been hand chosen by wine experts for their flavor and drinkability. Many of the wines feature lesser-known grape varietals that you won't find in your average grocery store wine aisles. 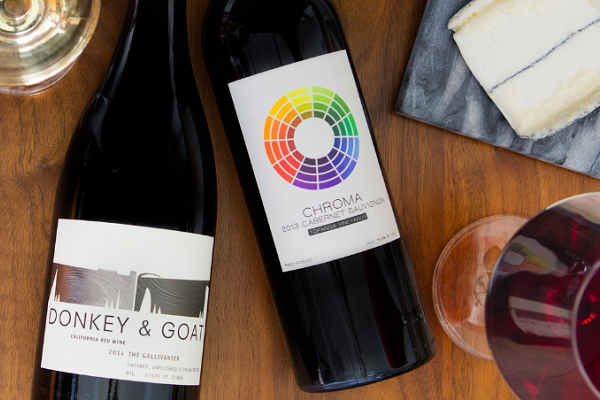 Their cutting edge wine of the month clubs can be purchased as personal subscriptions or as gifts and are perfectly suited for wine enthusiasts and novices alike. You can choose from the Plonk curated wine clubs that focus on all reds, all whites, or a mix of both. Or, if you have a particular type of wine you love, the grape variety wine clubs feature wines with similar grape characteristics in each club. Once you purchase a wine club subscription or a wine club gift, your monthly shipments will automatically arrive on your or your gift recipient’s doorstep, which means no work on your end. At Plonk Wine Club, they do the picking and you do the drinking! 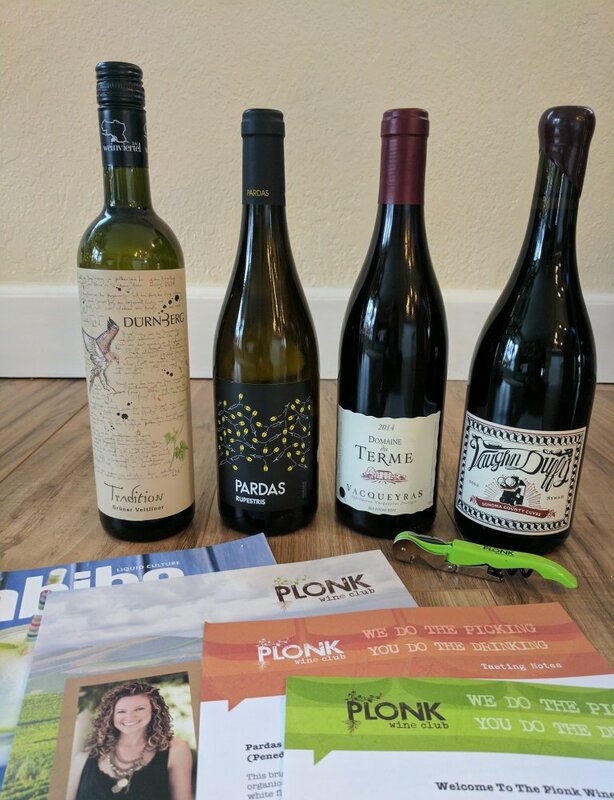 We were lucky enough to recently receive a shipment of the Plonk mixed wine club, and we couldn't wait to share our firsthand account! We received the 4-bottle shipment, which is currently priced at $94.99 per delivery. That works out to $3.75 less per bottle compared to their 2-bottle shipment, so we were already smiling at the savings. Customers can also save more by signing up for 3, 6 or 12 months at once. The delivery came in a compact, well packaged box that protected the wine without too much unnecessary packing material. Make sure that someone of legal drinking age is home to receive your delivery, because you must sign for the wine! 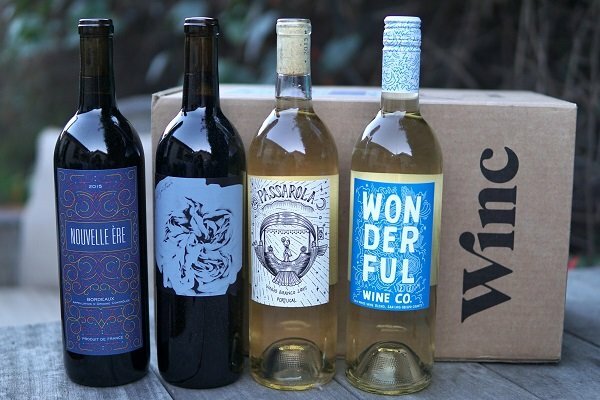 In addition to the wine, every Plonk Wine Club delivery also includes tasting notes and food pairings for each wine, a welcome letter, and an issue of Imbibe magazine to keep you up to date on the latest trends in wine, beer and booze. We also received a slick little travel wine opener, so we never get caught without a means to open our wine bottles. There are definitely some rare gems included in this shipment! For white wine enthusiasts, the Pardas Rupestris Blanco is sure to make your day. It's an eclectic pick from a Spanish vineyard that grows organic grapes using natural farming methods. It's light and crisp and made to brighten your day. If you prefer the rich intensity of reds, both of the Plonk picks will delight you. However, our favorite was the Vaughn Duffy Syrah. This is a small batch wine from the central California coast that was aged for 19 months in old French oak and floats over your tongue like a silk ribbon. With the holidays upon us, we can't wait to uncork these with our friends and family and spread some holiday cheer. 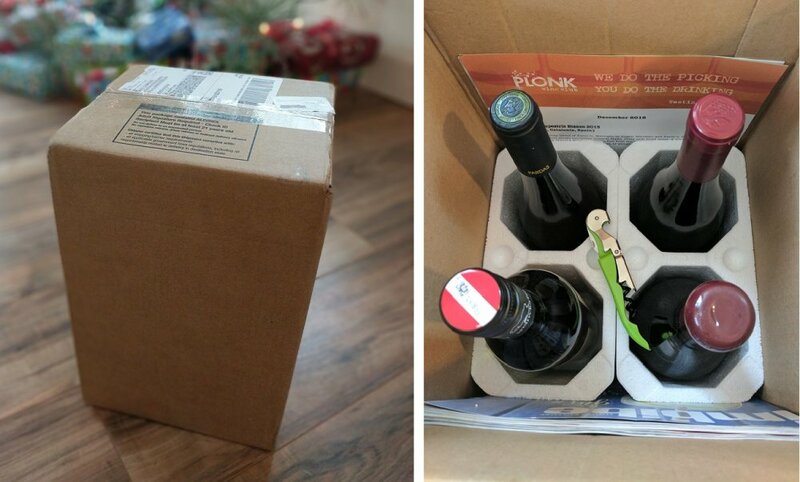 Start your membership or give the gift of a Plonk Wine Club subscription today!